There are lots of ways to watch college football on your Kodi device. You could follow our guide on how to stream college football or you could try one of the 20 best Kodi sports addons in order to look for college football content. We will make it even easier. Install one of the Kodi college football addons provided in this post. These list has been updated for the 2018 season. So so read ahead with confidence. There are loads Kodi addons for college football streaming. These vary from over-the-top services to standalone sources, and complete content aggregates. 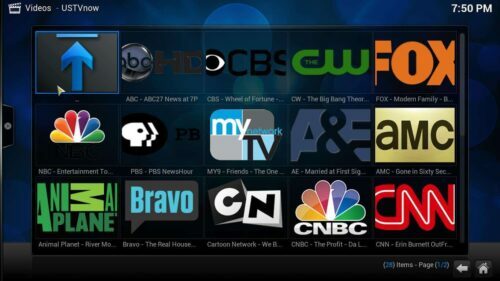 To watch college football on Kodi, you'll need to access select networks such as ABC, CBS, NBC, and Fox. You'll likely want access to ESPN as well. Then, there are regional networks like the SEC Network, Big Ten Network, and ACC Network for instance which offer college football games. 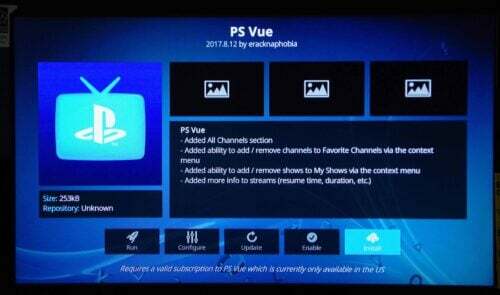 Installing the PlayStation Vue Kodi addon is pretty simple. The process for watching PS Vue on Kodi differs based on which version of Kodi you're using. It's best to use Kodi v17 or later. Once installation finishes, you'll see an Addon enabled notification. With both methods, once you launch the PS Vue Kodi addon, you'll need to sign in with your login credentials. PS Vue is one of the best Kodi college football addons with its access to ESPN channels, BTN, SEC Network, and local stations where applicable. Ultimately, it's one of the best new Kodi addons in 2018. One of the top legal Kodi college football addons, USTVNow provides access to a smattering of streaming channels for free. There's also a premium option for accessing additional channels as well as features such as DVR capabilities. Here, you'll find ABC, Fox, PBS, NBC, and the CW all streaming live and for free. As such, it's one of the best ways to watch college football on Kodi. The free plan includes ABC, CBS, the CW, PBS and MyTV 9. Upgrade to a higher tier for ESPN, AMC, FX, and more. Find USTVNow and pick Install. You should be ready to stream college football on Kodi. Regardless of whether or not you're using a free or paid version of USTVNow, you'll need to first login before you can start streaming. Unfortunately, there's no Big Ten Network or SEC Network. But for watching most local stations without an over-the-air (OTA) antenna, USTVNow is a top Kodi addon. Check out Rising Tides as a reliable way to watch college football on Kodi. Here, you'll find tons of streaming channels for watching football, sports, movies, and more. Depending on where you're located, you may wish to use a virtual private network (VPN) to ensure online privacy. In order to install the Rising Tides Kodi addon, you'll need to add its source. From the Kodi homepage, click the gear icon. Click the Add source option. In the Add file box, select <None> and enter http://mullafabz.net.rw/Repository then click Ok.
You will need to give this media source a name and hit Ok. When that's finished, you'll need to actually install the addon. Select the Package installer in the top left corner. Install the addon repository.Rising.Tides.zip and wait for the installation to complete. Your freshly installed addon repository means you can now install the addon itself. Click Rising Tides and then hit Install. 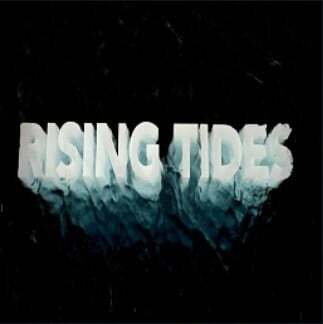 The Rising Tides video addon should show up in your list of Kodi addons. For live TV streaming on Android, Mobdro is a popular option. Essentially, it crawls the web for links to free streaming video and offers an aggregate of live TV streaming. Since you can watch sports with Mobdro, it's among the greatest Kodi college football addons you can download. Pick the File manager and click Add source. Where it says <None>, enter http://legionworldtv.com/zips/ and click Ok.
Give this repository a name. Head back to the homepage and click on Addons. Choose the repo you just added, and click plugin.video.mobdro.zip. You'll see the Addon installed notification when installation completes, and your new addon will be available under the video addons section of your Kodi media center. Some of the stream websites in SportsDevil are organized by sports. As the name suggests, SportsDevil offers a way to stream, well, sports. 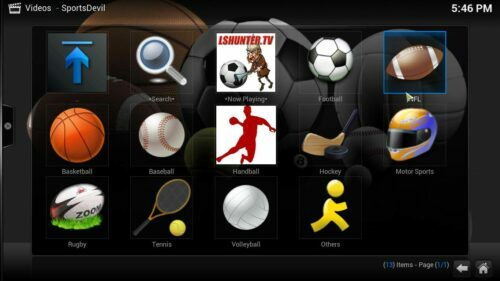 It's a heavyweight Kodi addon which has been around for quite a while and is one of the best Kodi addons for college football and other sports. Unfortunately, its performance varies and streaming quality is hit or miss. Still, it's widely used and therefore well maintained. As such, it's one of the most recommended Kodi addons for college streaming. Select File manager and Add source. Highlight <None> and enter http://repo.theunjudged.xyz, then click Ok.
Now, in the dialog box, enter a name for this source and hit Ok.
Then select Browser, and hit Install from ZIP file. Find the source you just added, and click repository.illuminati-x.x.x.zip. When you see the Addon enabled notification, you are finished with installing SportsDevil on Kodi. 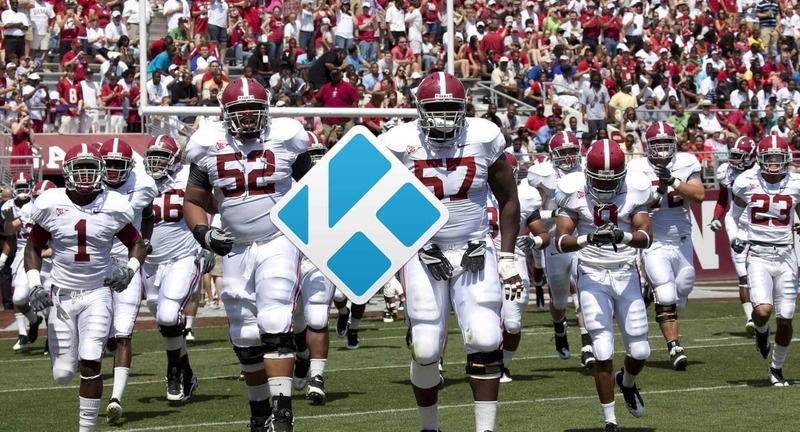 Overall, Kodi is a rich landscape you can use to watch college football on Kodi. Aside from Kodi addons, you can supplement your home theatre PC with an OTA antenna, as well as OTT streaming services like DirecTV Now, YouTube TV, Hulu with Live TV, and Sling. My personal preference is YouTube TV which yeilds access to the major local channels plus ESPN and its affiliates. 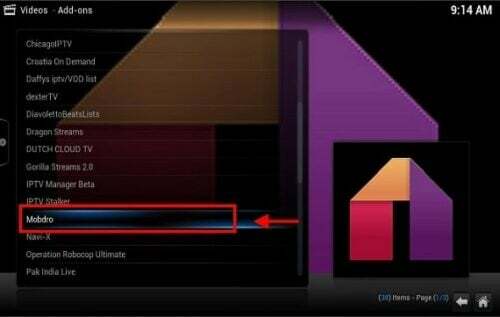 For Kodi addons besides sports streaming options, check out the ultimate list of working Kodi addons in 2018. Looking for a legal Kodi box? Find the best option, including the Nvidia Shield TV, Amazon Fire TV, and Raspberry Pi. Your turn: What Kodi college football addons are you using?